The Mill Road Society will be holding its annual general meeting at 7.00 at St Barnabas Church, Mill Road, 12/10/2011. All welcome come and see how the Mill Road Society carries out its work on behalf of your community. NO CLONE ZONE/MILL ROAD ROCKS mugs are now available. Bone China and made to our design by Stokes Croft China, Bristol. 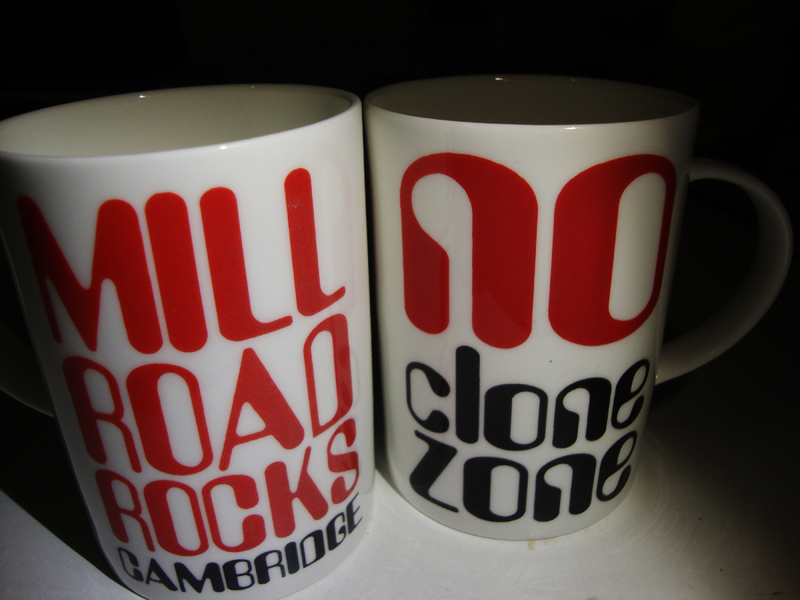 £6.00 each, available at Urban Larder the AGM and other Mill Road Society events. This entry was posted on Monday, October 10th, 2011 at 22:29	and is filed under Uncategorized. You can follow any responses to this entry through the RSS 2.0 feed. You can leave a response, or trackback from your own site.